Looking for Father’s Day Gift Ideas? 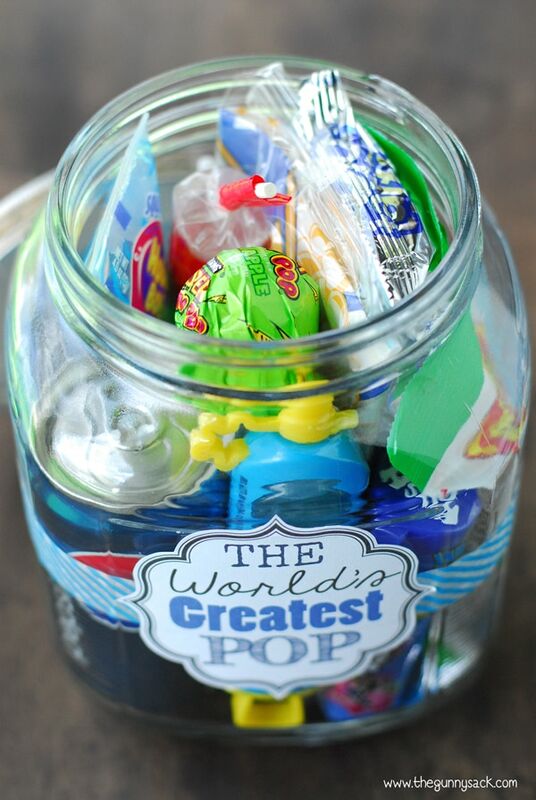 Give The World’s Greatest Pop gift in a jar to dad this year. 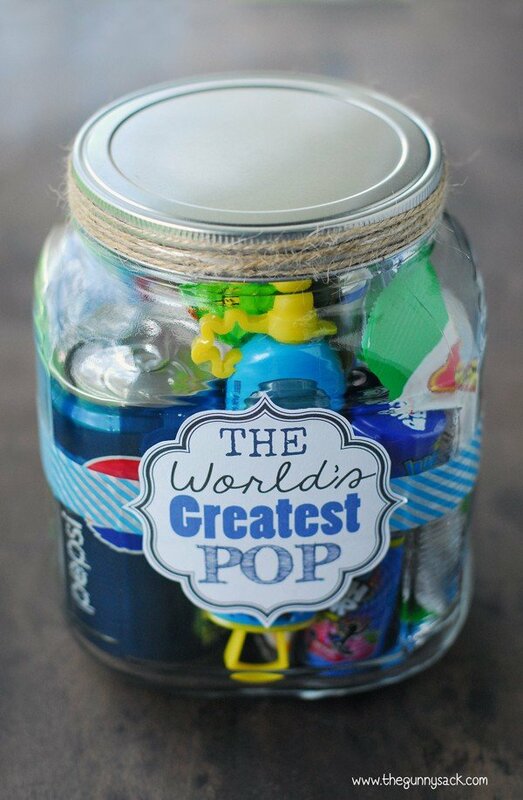 It is a large mason jar filled with items that have to do with “pop”. Mother’s Day is over and now it’s time to start thinking about Father’s Day gift ideas! Since I love gifts in a jar, I wanted to make a fun one for Father’s Day. This gift is more about the play on words and how much fun your kids will have when helping you put it. 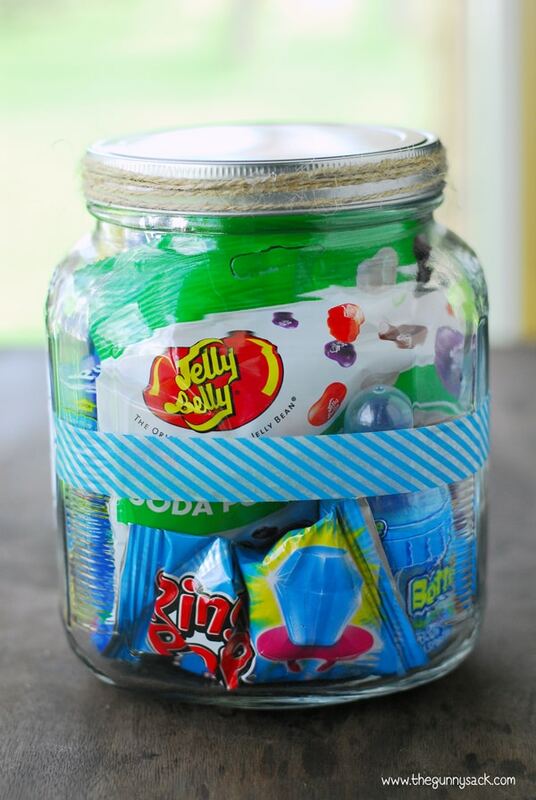 This gift is more about the play on words and how much fun your kids will have when helping you put it together than it is about the quality of the gift because it is filled mainly with candy! I purchased a large glass jar from the craft store since the mason jars I had at home were too small. The one I used is called a “cracker jar” and you can find them at Hobby Lobby and Michael’s. 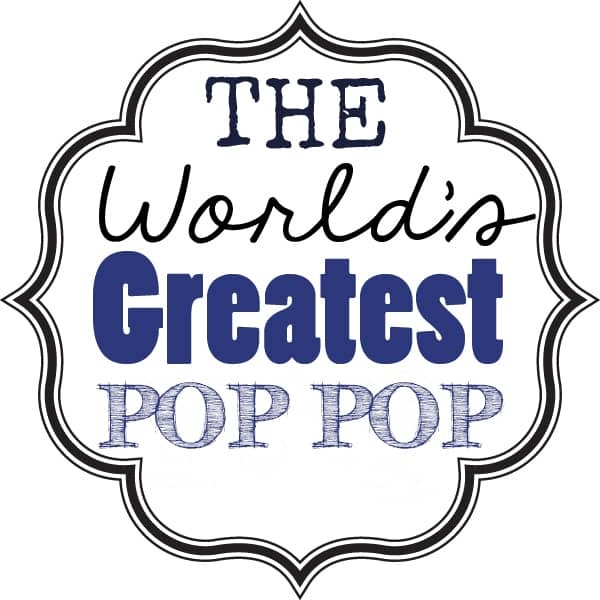 Going by “The World’s Greatest POP” theme that is on the label, I filled the jar with edible items that have “pop” in the name. I tried to find items that were blue with a little green and yellow thrown in. 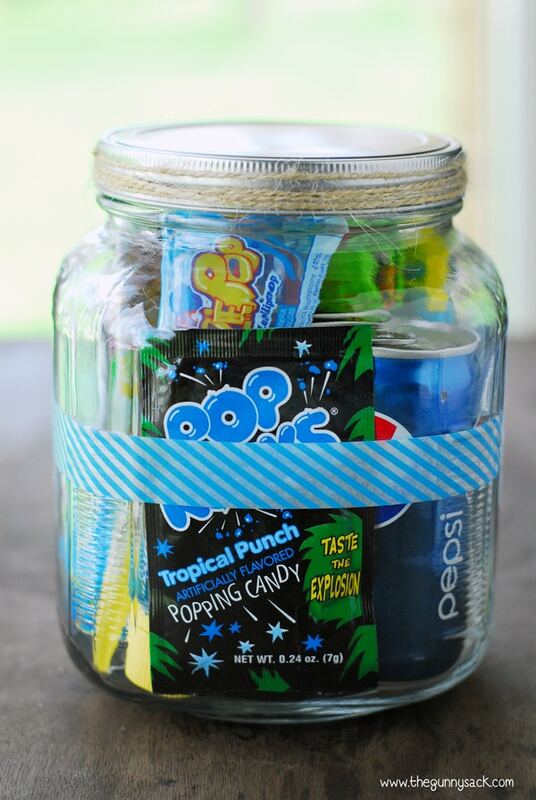 The jars could also include a mini box of Kelloggs Pops cereal, Pop Chips, Tootsie Pops, Soda Pop Fizzy Candy, Soda Pop Gummies and so on. Carefully fit all of the items in the jar, like a puzzle. It takes a little patience and some rearranging. Here is a look at one of the sides of the jar. This is the back side of the jar. And here is the final side of the jar. 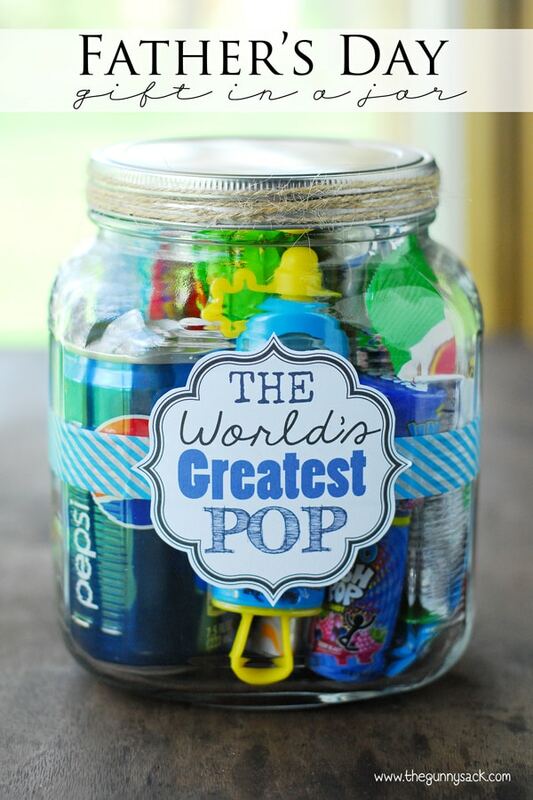 Glue twine around the lid, attach some washi tape to the jar and a “The World’s Greatest POP” label (get the free printable label here). Depending on the dad, some of these items might not be his favorite treat, but I’m sure your kids would be delighted to share! 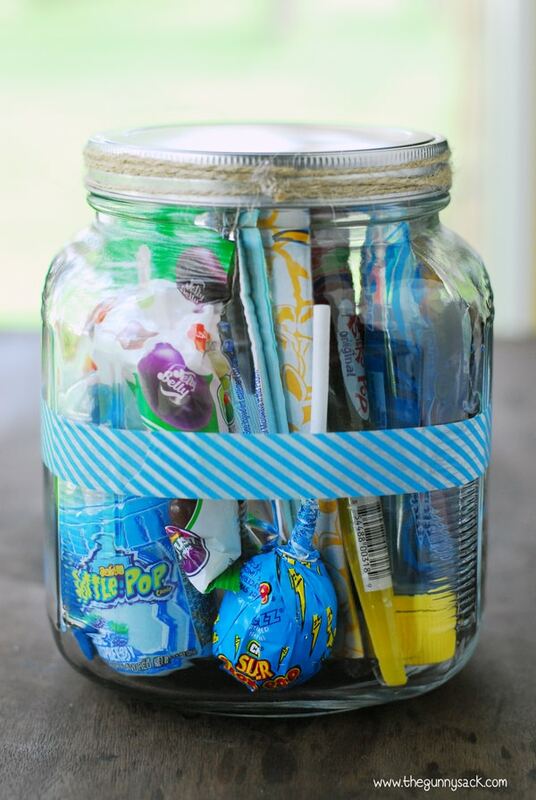 Either way, this Father’s Day gift in a jar is fun and kids will be so excited to give it to their dad. I really like this idea; however, my son calls his grandfather, Pop Pop. Is there anyway to add to the label? Thank you for such a cute idea ! My son calls his grandpa “Papa” so it matched great for his grandpa day “fathers” gift ! Only thing is strange enough I couldn’t find pop rocks but I had a great time making it with my son he enjoyed it to ! I can only think of poprocks and then all I can see a can of pop a push pop and one of those squeeze pop things what else is in there? There are several more photos in the blog post showing everything that is in the jar. 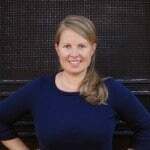 Are you using a mobile device to view the blog post? Try clicking on the “Read More” button under the photo of the World’s Greatest Pop Jar and see if the rest of the images show up. what a beautiful and fantastic pictures. excellent. THIS IS SOOOO CUTE!!!!!!!!!!!!!!!!!!!!!!!! I love it though the poem did make me tear up a bit..I wonder if I can pull this off with a 1 year old. I’m going to try! I have a 14 nth old and this is will be her gift to her “Pop-Pop’ for Father’s Day….too cute. I couldn’t resist…and it’s super inexpensive. 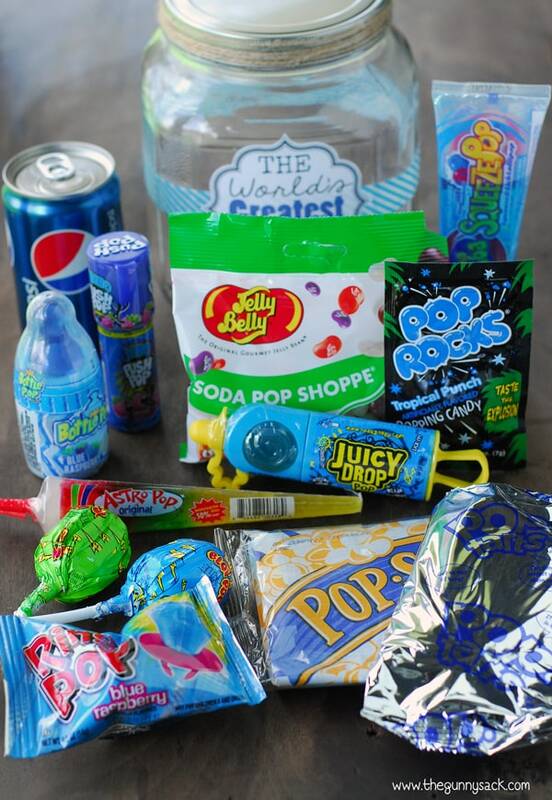 We found all pop items in Dollar Tree and the jar in Target. Fantastic! I love that she was able to help make the gift! So clever and fun! Pinning! What size of jar is used? It measures about 5 1/2″ square at the base x 6 3/4″ tall and holds 2 quarts or 64-ounces. The mouth is a little under 4″ in diameter. Fun idea! I shared it on Facebook!